Welcome to Carpet Cleaning for Perth, your one stop destination for giving your carpet a new look. We are a team of professionals, highly skilled and trained in the best quality services to make your carpets clean and fresh. If you are looking for a group of carpet cleaners that will ensure peace of mind, we can guarantee that you have come to the right place. Get rid of your dirty, dusty and damp carpet and give it a thorough clean. Our company offers fast services at an affordable price, within East Cannington WA 6107 and around. Do not be worried about the extensive procedure. Call us now and we will do all the needful to make your dirty, dusty and damp carpet fresh like new as a part of our renovation services. Why Do You Need Carpet Cleaning Services? Who doesn’t want to have a fresh and warm carpet in the house? It adds beauty and comfort to the home. Unclean carpets are clear turn-offs. However, it is not as easy cleaning a carpet, as you might think. That is why, the professionals like us come in with their fast, effective and highly efficient carpet cleaning services. We are skilled in using latest technology for cleaning your carpets. At our comapny, we have years of experience in the field of carpet cleaning. In all these years, we have offered our service to thousands of houses and commercial complexes. This helped us gain knowledge and experience regarding various types of damages and problems caused by these carpets and the appropriate method to treat those. Whether it is the home or an office, there are situations that the guests and visitors enter with their shoes on. This brings a huge amount of dirt and dust that get firmly deposited to the carpet. If the shoes are all muddy, it is an added burden. Our services can guarantee you the most cleaned carpets in East Cannington WA 6107. Along with dirt and dust, the problem of stains comes in. 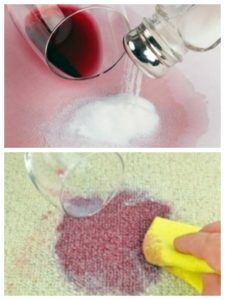 If you have house parties, gatherings or kids playing about in the house, there will be times that food, drinks or even paints and other such staining ingredients will fall on your carpet. The stain from tea, coffee, wine, food or even those pigments that your kids use for their drawing sessions are so stubborn that they do not want to go away easily. We use the latest machines and high quality stain removers that are permitted, non-toxic and environment friendly. If you are looking for a service that would make the carpets new like before, our company Carpet Cleaning for Perth is the right choice for you. Unclean carpets are home to mould growth. Continuous usage can make the carpets damp. It can lead to various diseases and health problems, especially if there are kids and pets in the house. That is the reason, why you must hire professional carpet cleaning services like ours to have the peace of mind. Regardless of the type of damage caused to your carpet, we are there to restore it. We believe in transparency and here is how we work. Puting away the valuable and fragile items. Using chemical free, non-toxic, anti-allergens. Upholstery of the furniture is as important an element as the carpets. Unclean upholstery not only makes the room dull, damp and stinky, but it also causes diseases and health problems. From the sofas, dining chairs to the arm-chairs and more, the upholstery needs to be clean and fresh to give your room a fresh and new appeal all the time. Whether it is the residential upholstery or commercial ones, upholstery cleaning is a must. At our company, we guarantee the best service in East Cannington WA 6107. Call us now to get a quote! These can cause a layer of dirt and dust and also cause a foul smell that is not only stinky, but also unhealthy. We understand the worth of your money. You must have spent hundreds of dollars on your lounge suite, sofa set or the furniture. So, for the upholstery or mattress cleaning in East Cannington WA 6107, you should trust only reliable professionals like us. Restore the upholstery to its original condition. If you want to make your upholstery look fresh, clean and unstained like new, we are the best choice in East Cannington WA 6107. For our upholstery cleaning service, we follow a thorough cleaning procedure. 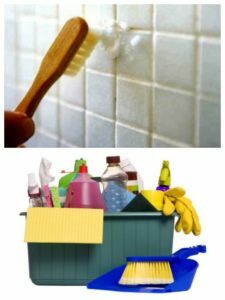 We use high quality cleaning brush that can take out even the smallest of dust and dirt particles, fibres and hair. Our team of professionals have the best, high precision and high power vacuum cleaners that can clean the upholstery from the deep. Once the hair, fibre and loose dirt and dust have been removed, we spray the upholstery with the cleaning agent. Using high power steam, we clean the dirt and remove the cleaning agent, leaving the upholstery fresh and warm again. The use of steam not only cleans and makes the upholstery warm, but it also kills the germs and bacteria or the mould that might grow on the upholstery. You should always choose the best for you and we guarantee that we are one of the best services in Perth. Each one of the servicemen at our company, Carpet Cleaning for Perth, is trained in professional cleaning methods and has years of experience. We constantly grow our knowledge and stay updated regarding new methods, machines and cleaning agents. Our aim is to offer you the best and make you satisfied. Call us now to know about our prices for service in East Cannington WA 6107. Tiles and grouts have become extremely common in every household, as well as commercial building. They add a fantastic, stunning feature and finesse to the entire property. However, the tiles and grouts can go extremely dirty with continuous use. A dull, dirty and unclean floor can make the visual appeal of your property horribly wrong, no matter how well-decorated the interior is. Hence, tile and grout cleaning is a must and that is what we specialise in. Inside and outside of a garage. These are also the areas that receive maximum footfall and traffic. Hence, it is quite obvious that the tiles and grouts will become dirty. Longer usage only makes the dirt more stubborn. So, get in touch with our service in East Cannington WA 6107 before time runs out. Makes the home a healthier, happier and fresher place to live in. We understand how important it is for you to get the best service and therefore, we bring only the best for you. It is the first step of the process. There are different types of tiles that are used and these can range from marble to limestone, from quartz to ceramic, from slate to granite to sandstone and much more. Determining the type will help in coming up with the right cleaning procedure. Whether it is a sanded or un-sanded surface, needs to be ensured. At Carpet Cleaning for Perth, the cleaning agent is chosen only after determining the type of floor. Our products are strong enough to remove stains; but non-toxic, eco-friendly and mild enough not to harm the tiles and grouts or damage its texture. We only use a high-pressure steam machine that can remove any stain from any tile within a very short span of time. No cleaning task is too big or too small for us. At our company, we offer fast services for the best price in East Cannington WA 6107. Contact us today to book your appointment during spring cleaning season. 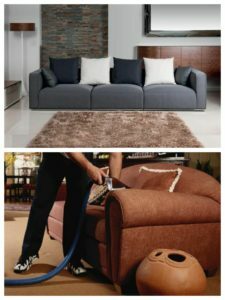 Enjoy peace of mind and hire cost-effective services from the highly reputed company Carpet Cleaning for Perth. We have different packages for our clients. We are available for any sort of household and commercial cleaning service. Our rates are extremely affordable. Each one of our professionals guarantees high-quality service, best quality products, fast services that will not only help you maintain hygiene, but also keep your property look new. Call us now to discuss our availability and book your service at East Cannington WA 6107. Professional Carpet Cleaning Services in East Cannington WA 6107 – Carpet Cleaning for Perth – call us on 0424 470 460.